‘Once you pop you can’t stop,’ is the slogan for Pringles, which popularised the sharing tube. But as we crave a little portion control in the way we eat crisps, Twistd could provide just the answer we are looking for. Despite the trend for healthy eating, it seems the UK just can’t shake its love of crisps. Peckish Brits gobbled up five per cent more sharing bags of crisps than last year, but it begs the question: what’s the next big thing in sharing snacks? As a result, FMCG trade magazine The Grocer asked us to invent sharing’s hottest new format – and here’s what we conjured up. ‘Once you pop you can’t stop,’ is the slogan for Pringles, which popularised the sharing tube. 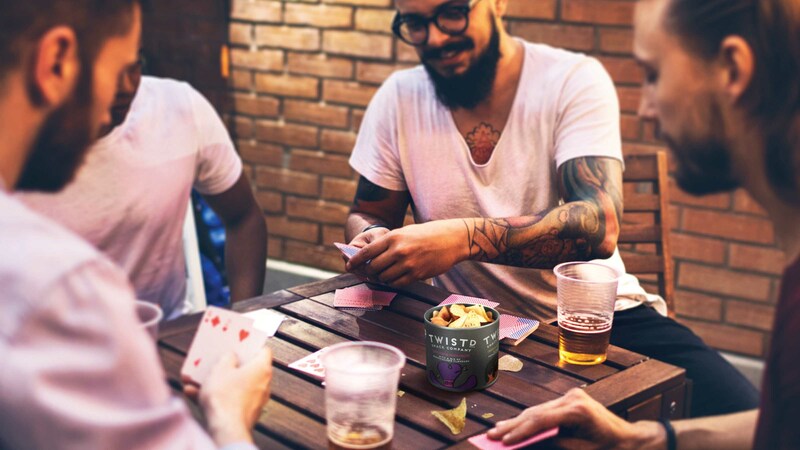 But as we crave a little portion control in the way we eat crisps, Twistd could provide just the answer we are looking for. In the sharing sector all you really see is one big bag everyone can dive into. 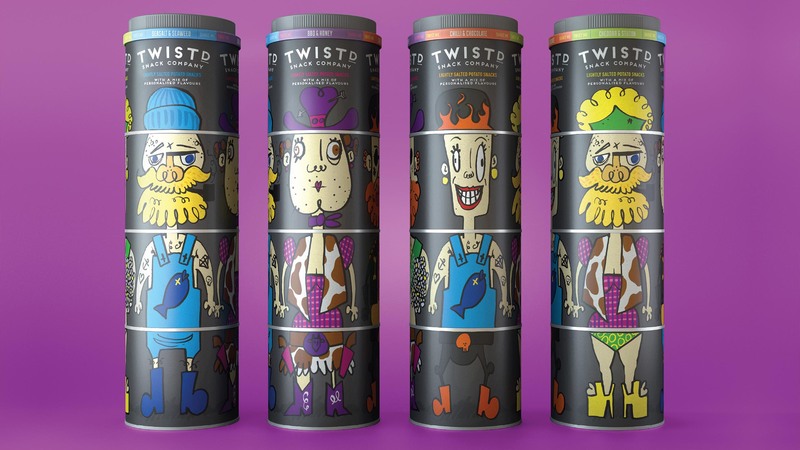 But Twistd offers portion control by separating the tubes into different sections, as well as the added excitement of different flavours. 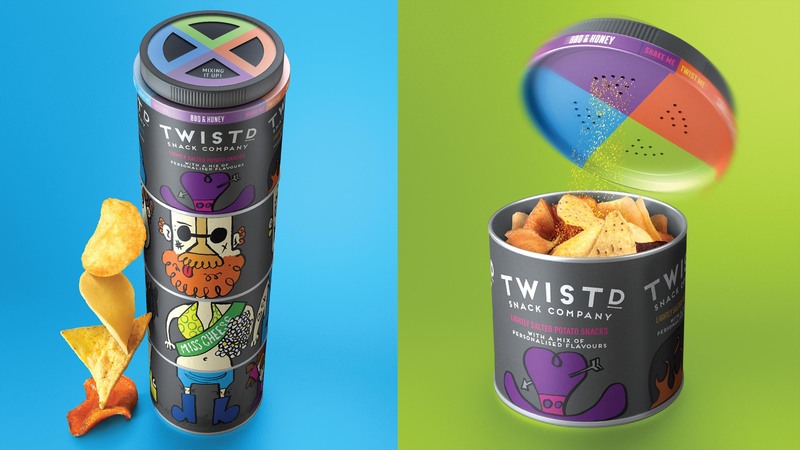 This fun and colourful multi compartment tube allows consumers to mix snacks and flavours in unique and unusual combinations. Each of the four compartments contains a mixture of sweet potato chips, lightly salted crisps, tortillas and snacks. Consumers just have to give the lid a little twist to add a range of four quirky flavours, including Sea Salt & Seaweed, BBQ & Honey, Chill & Chocolate and Cheddar & Stilton. We really wanted to shake up the category with the use of fun characters for each flavour, such as a cowgirl for BBQ & Honey or a hipster fisherman for Sea Salt & Seaweed. 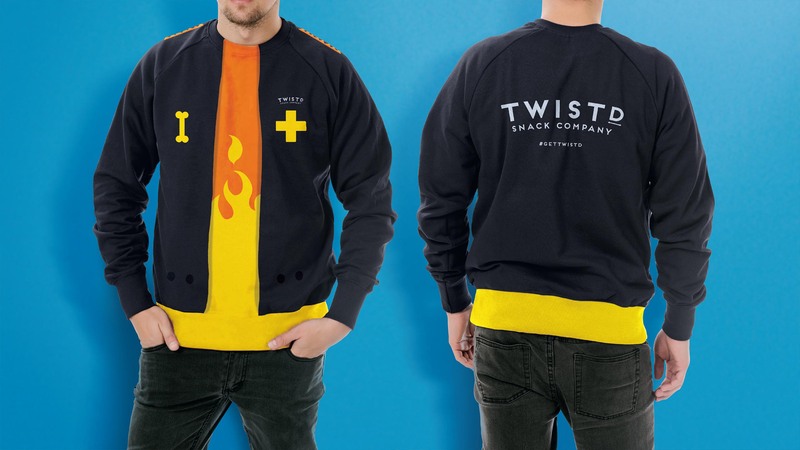 We were aiming for millennial men who drink craft beer so the branding is designed to be clean and contemporary. There’s a range of unusual flavours populating the craft beer sector showing this demographic is adventurous. 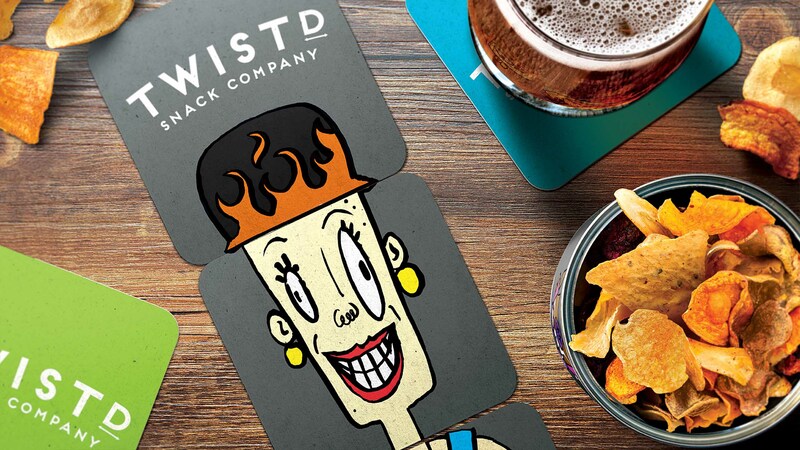 We think the Twistd format would be great fun for social occasions with a group of people who may all have different tastes. 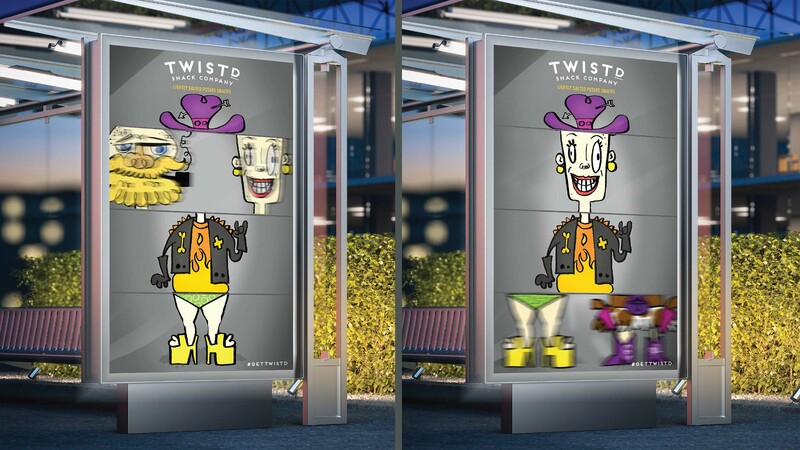 Twistd would feature shakers being sold separately and limited edition seasonal flavours with new characters.